It’s a Russian love story classic. So it’s only natural that it would be converted into a movie. The surprise here is that it’s taken moviemakers this long to finally getting around to putting Anna Karenina on the big screen. But alas, it has arrived, and now there’s talk of the movie winning Oscar gold. Combine Keira Knightley, a movie based on a book, and a period piece into one movie, and Oscar gold is inevitable. Now’s your chance to read Leo Tolstoy’s book about 19th-century doomed love with a movie tie-in, to boot. Get it now in paperback for only $8.98, down from $12.95. Or get it on your Kindle for just $7.99. It’s one of the most popular television series right now. But a lot of Downton Abbey‘s following started late. Now’s your chance to catch up — and with good deals to boot! Thanks to Black Friday and Cyber Monday, there are a number of deals on Downton Abbey-related books. This Downton Abbey Script Book is your best bet for catching up on Season 1 of the show. Included are all of the scripts from the first season, as well as commentary, color photos and never-before-seen material. It’s not available until December 26th — unfortunately the day after Christmas. But now you can pre-order the book in paperback for just $13.59, down from $19.99. If you want Downton Abbey goods now and don’t want to wait until December, you can also get The World of Downton Abbey in hardcover for $18.27, down from $29.99. This book includes behind-the-scenes production research on the setting in which Downton Abbey takes place. It’s also available on your Kindle for $12.99. It’s a big bestseller that, in the two months since its release, has had its fair share of problems and glitches. Regardless, Harry Potter author J.K. Rowling has found success with The Casual Vacancy, her first non-children’s book. The novel tells the story of a man who dies in a small English town, and his death raises questions about who he really was and who’s going to fill his spot on the town council? A black comedy, Rowling’s first adult novel may not be getting the best reviews, but it is getting people to talk….and read. 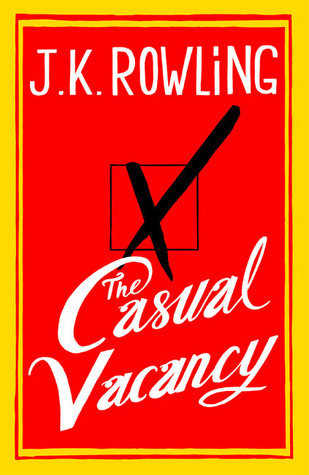 Now you can get The Casual Vacancy in hardcover for just $20, down from $35. Or get it on your Kindle for $14.99. After two Bridget Jones novels and two movies, you might have thought Bridget’s story was over. But author Helen Fielding isn’t done writing it yet. According to Entertainment Weekly, Fielding is working on a third installment to the bestselling Bridget Jones’s Diary series. To keep up with the times, Fielding says the chapters will start off with Bridget’s tweets, rather than her diary entries. A release date has not yet been set. Speaking of third installments, a third Bridget Jones movie is also in the works, but the third book will not follow the storyline of the third movie. Apparently, there’s also talk about a Bridget Jones musical! Sounds like a whole lot of Bridget to me! I never read the books, but I saw the first movie and didn’t enjoy it very much. What do you guys think? Are you excited for the new book? Will you read it? For the first time in six years, bestselling author Khaled Housseini is publishing a new book. According to Entertainment Weekly, Housseini, who wrote The Kite Runner and A Thousand Splendid Suns, will release his next novel on May 21, 2013. Like his previous novels, Housseini says the new book, entitled And the Mountains Roared, will be about families, as Stephan Lee explains. After being silent for so long, I’m looking forward to another book from Housseini. I loved The Kite Runner, despite how dark it was. Will you be reading his new book? Recap: When Wendy Sloane returns home from college to her small Pennsylvania town, she anticipates a quiet summer, catching up with her mother and grandpa and working at the small independent bookstore her family owns. It certainly starts out that way. But Wendy has a secret, one that no one, not even her mother knows. She wants to be a writer. This particular summer is the summer when Wendy starts to face her fears and works to accomplish her goals. She tells her mother about her plans to be a writer, while she works on her first book. But she also uses the summer to play one big trick on her small town. Taking after her grandpa, the town trickster himself, Wendy paints a horrific display on the outside of her family’s bookstore. She’s on a mission to prove how easily people’s opinions can be swayed and how important it is to think for yourself. Her scheme sends the townspeople in a dither, all thanks to the power of persuasion — something that Wendy realizes is strong enough to rule the world. Analysis: Jade Heasley writes this coming-of-age story with wit and charm. A light and easy read, I came to enjoy Wendy’s spunky, motivated attitude. She’s a tough girl, and it’s that spirit that helps her pull off the big stunt without turning people against her. How to Rule the World is a fun book that kept me interested and didn’t force me to think too much. It did have a few flaws however. Parts of the book seemed preachy; as much as I liked Wendy, she was also a bit of a goody-goody, turning down dates with the town “bad boy,” instead of exploring her crush, as I imagine most 19-year-old girls would. Not to mention, she speaks very philosophically for a teenager. I understood that she’s a writer, and with that, comes more analytical thinking than the average person, but it still seemed a bit unlikely for someone her age. 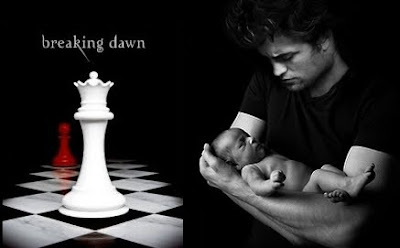 There were also portions of the book that seemed irrelevant or forced, particularly the sections about her father. Since Wendy lives with her mother and grandpa, the author does have to explain where her father is. We get a few glimpses into the bad relationship he had with Wendy’s mom, their divorce, and one angry phone dialogue between Wendy and her dad, but it felt forced, as though the reader is meant to hate the father very quickly without very much reason. That being said, it’s still a story with a good message to enjoy growing up and never give up on your dreams. MVP: Wendy. Wise for her age and determined, she’s the girl young girls want to be, young boys want to date, and mothers want to have as their own daughter. Get How to Rule the World in paperback for $12.99.